Today we have a lovely sunflower card by Naki using our Flower Garden stamp set! 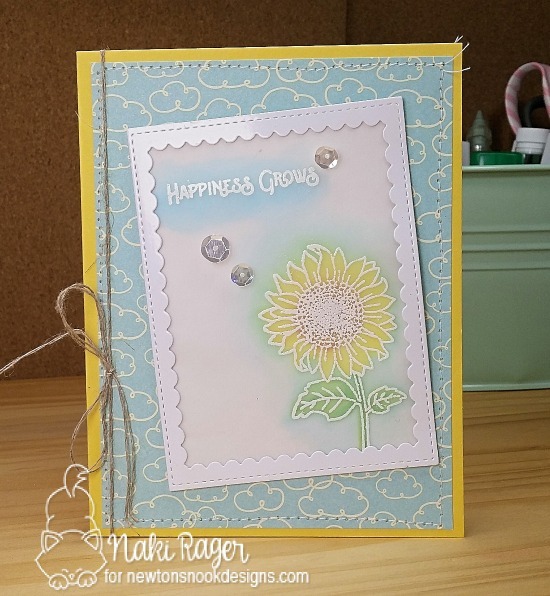 I love how she stamped and embossed the sunflower in white and sponged inks over the top! What a soft and pretty way to color an image! Then she added the "Happiness Grows" sentiment, also from the Flower Garden stamp set. The cloud background paper and twine give it the perfect finishing summery touch! To say hi to Naki and see more of her awesome creations, you can visit her over her blog, Notes from Naki!